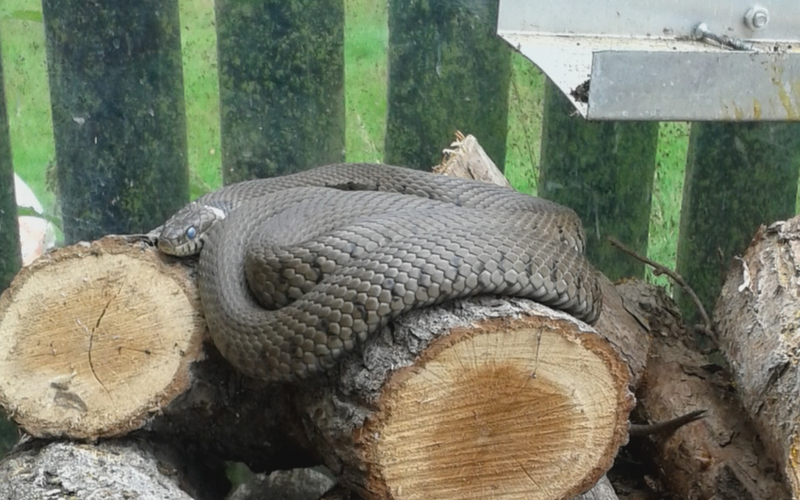 Tidy Gardens By Jane: Snakes Alive!!! I would have freaked out, too! I don't like snakes! Oh my, that's a good sized snake! That would have scared me too! I would have been running for the hills with you Jane!!!!!! Despite my age, I have never seen a grass snake, perhaps its a bit on the cold side in Aberdeen. I will keep a lookout here thogh. I don't care what anyone says, snakes are ugly creatures with their beady little eyes and scaly skin.....that is one really big, harmless snake! I would have run, too!